SACRAMENTO — With the Republican Party at such a low ebb, the supermajority Democratic Party is advancing connections everywhere. In particular, there’s cross-pollination between groups pushing for overtime for domestic workers — and groups receiving Obamacare money. In some cases, they’re the same groups. Assembly Bill 241 is by Assemblyman Tom Ammiano, D-San Francisco. It mandates overtime must be paid to domestic workers, including nannies, babysitters (not teenagers) and in-home workers taking care of the disabled and elderly. Gov. Jerry Brown just signed it into law. Many of the groups who pushed Gov. Jerry Brown to sign AB241 are direct recipients of grants from Covered California, the state’s implementation of the Affordable Care Act, usually called Obamacare, or are subcontractors receiving the outreach money. Let’s compare lists of the two groups. First, there are the supporters of AB241, as described in the Legislature’s description of the bill. Second, on its website, Covered California maintains a list of those groups getting outreach funding — that is, money from the taxpayers and those enrolled in Obamacare. Now, here are the names of some of the groups on both lists. That is, Covered California subsidizes them. And they pushed AB241 into law. In 2011, Ammiano co-authored a similar bill, AB889, also called the Domestic Workers Bill of Rights. It passed both houses of the Legislature. The bill would have allowed a state agency to develop regulations on overtime and meal breaks for nannies, maids and other domestic workers. Similar words could have been used by Brown this month against AB241, but weren’t because he signed it. And given Brown’s position two years ago, it’s not surprising that this year AB241 was opposed by California Association for Health Services at Home, Home Care Association of America-Northern California Chapter and the United Cerebral Palsy California Collaboration. They maintained that AB241 would increase costs for them to provide care, while also multiplying red tape. And earlier in 2011 another bill, AB101, attempted to unionize licensed child-care. Included were both providers who run small, in-home day care centers and relatives who take care of family members and receive a state subsidy. Bill author Assembly Speaker John Perez, D-Los Angeles, insisted its purpose was to provide better working conditions for child-care providers. Brown vetoed it. If AB101 had passed, many families that now keep a beloved but disabled relative at home, or an elderly relative cared for by domestic help, would be forced to put the person in an institution perhaps many miles away, deprived of the family love that keeps many of them alive. For now, at least, that won’t happen. Then back in 2009, a group of 100 domestic workers created a coalition, the National Domestic Workers Alliance. It made a list of demands for workplace protections available to other workers, such as overtime pay, Cal/OSHA safety standards, and workers’ compensation. 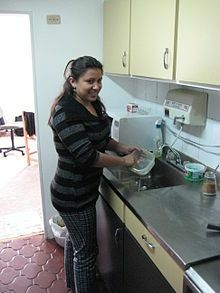 Sponsored by big labor groups such as Urban Habitat, the International Labour Organization, the Alliance sponsored the Domestic Worker Bill of Rights Resolution eventually passed the California Legislature in 2010. Although nonbinding, the resolution opened the door to AB241. In California, the list of members of the alliance is long: Coalition for Humane Immigrant Rights of Los Angeles, Filipino Advocates for Justice in Oakland, Filipino Community Center, Filipino Migrant Center, Graton Day Labor Center, IDEPSCA in Los Angeles, La Colectiva de Mujeres in San Francisco, Mujeres Unidas y Activas, People Organized to Win Employment Rights POWER in San Francisico, Pilipino Workers’ Center of Southern California, Los Angeles, San Diego Day Laborers and Household Workers Association. Notice that some of those members were in the first two lists above. Families that lose care because of AB241, or must pay more for it, may have a different opinion.